Coxhoe has a rich and diverse heritage. Its early medieval village lay on the slopes below a manor house. 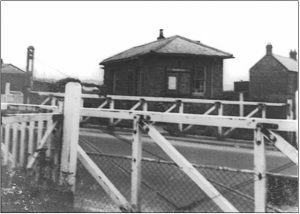 Later the village developed into a small rural community around a turnpike road. 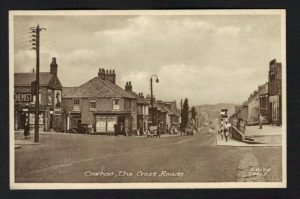 It is likely that the name Coxhoe was taken from the person that originally owned the area. It is not known when the villages of Coxhoe and Quarrington Hill were first established. Evidence shows that the name ‘Coxhoe’ has changed over time. For example in 1235 it was known as Cokeshoui, in 1344 Coksouw, in 1553 Coksow and 1794 Coxsey. The word ‘hoe’ is an Old English word for promontory. The late 19th and early 20th centuries marked a period of rapid growth and change to the basic structure. Its population increased dramatically as its natural assets of coal, limestone and clay were exploited to provide for the demands of the industrial revolution. The village quickly grew as housing was hurriedly erected for an expanding industrial workforce. The medieval manor house was later developed and the house, Coxhoe Hall, was formed. It is famous for being the birthplace of poet Elizabeth Barrett Browning. Rebuilt in 1725 in a Georgian Gothic style, it was considered to be one of the finest houses in County Durham. It was set high on a south facing hillside adjacent to the site of Coxhoe medieval village. A tree-lined avenue led to the Hall and it was surrounded by grounds with terraces, tennis courts and walled garden. Quarrington Hill lies about 10km to the southeast of Durham. This part of East Durham is dominated by limestone hills. This good quality limestone has long been quarried for a range of different uses; it has been burnt in limestone to make lime, which was used to make cement. The cement to build Durham Cathedral probably came from this area. Nowadays, the limestone is used for modern industrial purposes, such as in the Teesside chemical industry. The remains of many old quarries can be see in the area; some have become nature reserves. This tradition of quarrying goes back to antiquity. The name of the village itself come from the Old English for ‘the hill where quern stones were quarried’. The word ‘Quarrington’ is a corruption of Quern-Dun, the hill where quern stones were excavated. The word Hill was added when the word ‘Dun’ was changed to ‘ton’. Minerals and stone were not only quarried from the surface in Quarrington. There were also several collieries, such as Crow Tress Colliery and Vale Pit. The latter first produced coal in 1834. However, the collieries in this part of the County were worked out by the late 19th century, leading to a decline in many of the pit villages. Take a look at our photo gallery to find more photographs of our communities.